Bedrooms are meant to be the one place at home where all you’ll find is rest, calm, and intimacy. As such, it only makes sense that you keep it not just clean but also a room where every stick of furniture and every piece of décor exudes relaxation. 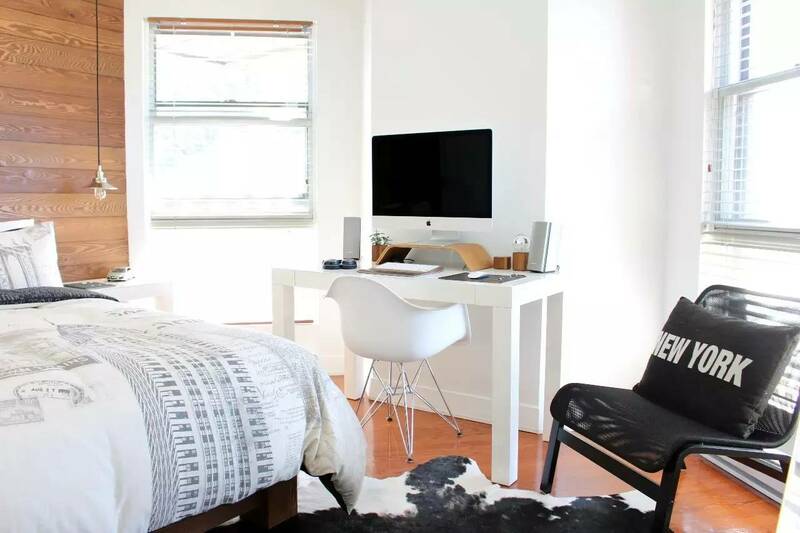 So, if you’re looking for ways to turn your bedroom into a haven that allows you to leave your worries at the door, here are 10 indispensable tricks that will allow you to do just that. Before you begin hauling new stuff into your bedroom, make sure that you actually have space to accommodate new furniture and trinkets. The goal is to get everything out of the room that serves no purpose. Start your room transformation project by making an inventory of everything in your room and decide on the fate of each item—whether it stays or goes. This way, you will have a good picture of how much of your furniture will remain as well as how much space you will rediscover in your room. For instance, if your bedside table is decked with things you need to keep close by when you sleep, perhaps it’s high time to replace it with one that has more drawers to keep everything you need accessible and organized. Your bed and bedroom walls might be concealing notorious crawlies, making a banquet hall out of it and eating in style. Places with mild, humid climates calls for occasional pest management as you would want to keep unwanted roommates out of your bedroom. Identify unwanted roommates and learn how to get rid of them to ensure a worry-free sleepyhead on top of that nice and soft pillow. One of the easiest ways to upgrade your bed is by attaching a stylish headboard. A plush and detailed headboard can serve as the center of attention in your room and make your bed look bigger and grander than it really is. Getting a tufted headboard could also mean more comfort as you lean back and stay up reading. While being in the bedroom is supposed to make you feel calm, you don’t always have to wait until you’re sitting on the bed before you start relaxing. Loosen up the moment you enter the room by placing soothing scents like vanilla, lavender, or pine. Remember not to use variants with scents that are too overpowering, otherwise it’ll be counterproductive. For a more charming appeal, you can decorate your room with scented candles and light them up when you get home. Some people watch television to unwind before bedtime, but if you want to boost your bedroom’s romantic ambience, move your television to your living room or entertainment room. A blaring TV may only aggravate stress and distract you from relaxing. If, on the other hand, you prefer to listen to something to help you set the mood, equip your bedroom with a decent sound system and put on relaxing tunes from your MP3 player. 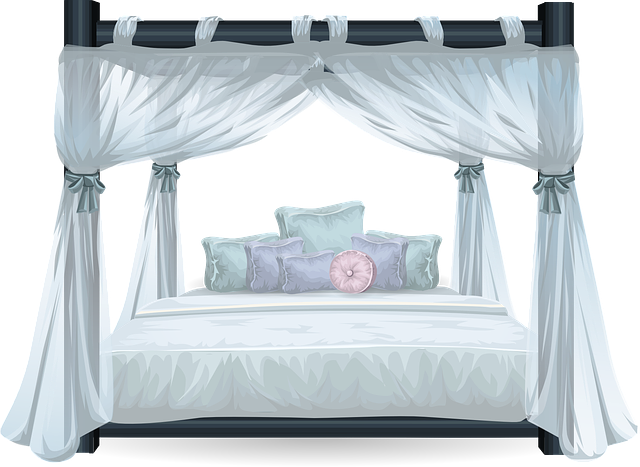 Treat yourself into a royal slumber by retiring your old sheets and replacing them with plush ones. Splurge in cotton and linen sheets to line your mattress with and throw in a fluffy comforter on top. You can also get new everyday pillows as well as smaller, decorative ones to cushion you better. In cooler seasons, you may also use a faux fur blanket to add texture to your beddings and to curl up under. Complete your bedroom’s look in the linen department by placing a plush rug under your bed or just beside it for a soft landing when you get off the bed. A soft rug may be a small detail but it can make a difference in your day as you bury your toes cozy in it when you get up. Your rug can either match your beddings in terms of color and texture or you can give your floor a pop of character by letting its own design stand out. One of the easiest ways to brighten up your bedroom is by applying a fresh coat of paint, especially neutral colors. For instance, if you want to give your room an immaculate appeal, you can use white paint to make your room seem bigger and spotless. You can also use warm neutral colors such as beige, cream, or taupe for your walls if you want a less vivid but equally relaxing view. If, on the flipside, you’re looking for ways to make the room seem smaller, you can put up wallpaper with vintage patterns for a classic look. Too bright a light can distract you from relaxing. Instead of using white daylight bulbs, use soft warm light bulbs for your lamps. Soft lighting can easily set you into a calming mood especially when your bedroom already exudes a comforting scent. You can also enjoy natural light by putting up transparent curtains or the ones made of thinner fabrics. If you have extra space in your bedroom that you want to fill, you can do so by placing a couch at the end of your bed where you can relax first before you go to sleep. You can also set up a couple of chairs and a table by the window where you can have coffee and read in the morning. Complete the set with fluffy throw pillows and a vase of fresh flowers and you’re set. If you have more ideas on how to transform your bedroom into a cozy sanctuary, share them with us in the comments below. This Concludes: Beautiful Bedrooms Basics: 10 Ways To Make Your Bedroom Extra Special. What Did You Think Of This Post? Let Us Know By Rating Below! 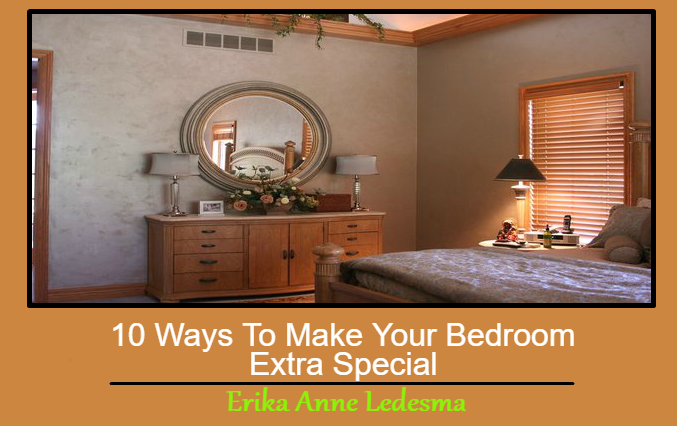 Erika Anne Ledesma is a marketing consultant. She does inbound marketing for various websites, helping them increase their audience and readership through content and social media. She also writes about the current trends and practices of the industry.